Social media marketing looks little like it did just a few short years ago. The primary power behind this seismic shift? Influencers. These social media geniuses use their natural charm and relatability to build connections with thousands or even millions of followers. Initially centred around fashion and fitness, influencer marketing now involves every niche imaginable. They’re taking over in accounting, health care, and even construction. While influencers can dramatically improve brand awareness, they’re not an automatic ticket to social media success. In fact, haphazard influencer marketing could harm your brand’s image while wasting resources that might be better directed elsewhere. However, when you use your customer relationship management (CRM) system in conjunction with your influencer relationships, this powerful combination can transform your marketing efforts. Read on to learn more about the value that CRM software can lend to influencer marketing — and how, together, these strategies can improve your digital marketing ROI. What are influencers — and why are they so powerful? Typically accessible via social media, an influencer is any person or organization with the power to impact a sizeable number of consumers’ purchasing decisions. This individual typically holds a large and loyal following on Instagram, Facebook, Snapchat, or YouTube. Influencers maintain their following by regularly posting content that interests or directly benefits their followers. Depending on the influencer’s preferred platform, shared content could include images, videos, webinars, quizzes, or blog posts. Through mutually beneficial relationships with targeted brands, influencers can earn anything from free products to a sustainable income. They increasingly regard their efforts as full-time work. Yes, they’re passionate about their followers, but no, they’re not willing to create content for free. In fact, Viral Nation co-founder Joe Gagliese claims that top influencers can command as much as $100,00 per post. In return, however, they deliver considerable brand awareness, and often, immediate conversions. A notable Tomoson poll of marketing professionals suggests that businesses earn an astounding $6.50 for every dollar spent on influencer marketing. Why the impressive ROI? Blame Millennials and Gen Z. Young consumers desire a stronger and more authentic connection with the accounts they follow. While many content creators leverage this position of trust to market products or services, the most successful influencers prioritize quality content and genuine relationships with followers above all else. Those who merely regard social media as a means to a personal end are not likely to sustain their following on a long-term basis. If you’re interested in getting on board with influencer marketing, you’re in good company. A LaunchMetrics survey reveals that nearly 80 percent of professionals integrated influencers into their marketing efforts in 2017. 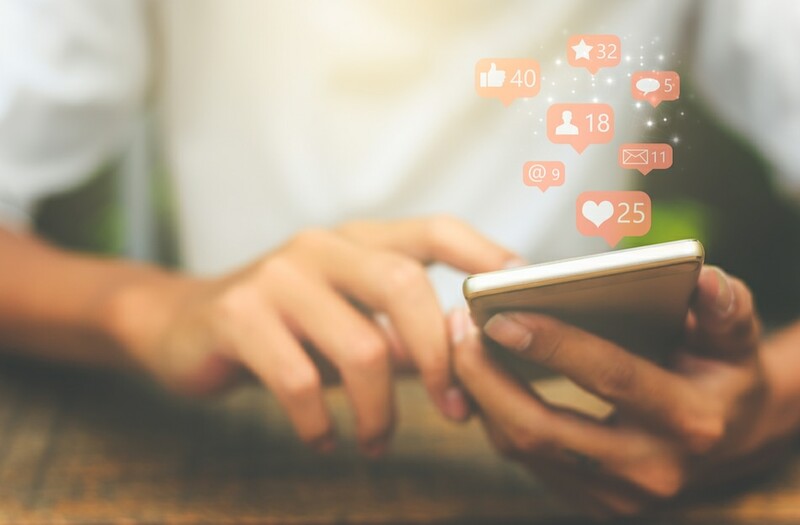 With social media constituting an ever-increasing portion of total company spend, however, many business leaders worry about the ROI of influencer marketing — or potential lack thereof. Luckily, you don’t need to invest in a suite of new marketing tools to get into the influencer marketing game. Instead, consider leveraging your existing CRM software. Although many businesses tend to think that a CRM is strictly for managing relationships with customers, the truth is that most CRM systems can help you track data on any type of business contact. This is especially true with a customizable CRM that can be adapted for your specific needs. A few of the most valuable influencer-related CRM applications are highlighted below. A successful influencer campaign begins with securing key players from your niche to advocate for your brand. Influencer selection is not to be taken lightly; your end goal should go beyond scoring the person with the largest following on Instagram. Audience matters, of course, but so do the influencer’s values and content style. By creating custom fields in your CRM, you can easily track your findings as you research and compare potential influencers for your campaign. How do you learn more about or keep in touch with your contacts? While many people still rely on traditional methods such as phone and email, younger clients and customers increasingly prefer social media. Others move between traditional and modern channels — and expect you to keep up. Unfortunately, providing a seamless experience can be difficult if you’re not sure who is present on which platforms. That’s where your CRM comes into play. An organized contact management system allows you to more effectively track influencer and customer handles on a variety of social media platforms. This is valuable not only for faster communication, but also for research purposes. If you know which platforms your consumers prefer, you can better target your influencer campaigns based on their online activity. All marketing team members should be up to speed with your influencer campaigns. A good CRM encourages collaboration by keeping team members connected via centralized notes, tasks, and influencer contact details. This promotes a steady flow of ideas while preventing your team from getting bogged down in inefficiencies. A shared calendar in the CRM also ensures that all team members are aware of scheduled meetings and important deadlines. If you’re using a customizable CRM, automated workflows can keep influencer campaigns on track by ensuring that responsibilities are delegated quickly and properly. For instance, one click of a button could immediately generate a set of standard to-do items that are assigned to various team members. You’ve developed and executed a killer campaign, and you’re raking in quality leads. Without a scalable lead management solution, however, it’s easy to let these leads fall through the cracks. After all, your ultimate goal is not merely to drive brand awareness — you want to acquire new leads and convert them into long-term customers. A sophisticated lead management system allows you to make the most of influencer-driven leads. Integrated lead generation forms are of particular value. Ideally, influencers will direct followers to your site, where they can then complete a contact form that sends their info directly into your CRM. This organized and efficient approach will eliminate the need for double data entry, even as leads arrive from a variety of websites and platforms. There’s no substitute for seamless lead management. A successful influencer campaign could transform how your brand is perceived on social media. And with the right CRM on hand, you can optimize your strategy to ensure you achieve the best possible ROI. To learn how Method:CRM can help you streamline your marketing efforts and convert the resulting leads, sign up for your free 30-day trial! Ready to start bringing in new leads? Sign up for a free 30-day trial of Method:CRM, the most customizable CRM for QuickBooks.